Although we had a parts manual for a 20/70 Model V, when a parts manual for a Model Q appeared on eBay, I was tempted "for completeness" and made a bid. Having paid about half what I was expecting to, the package arrived and was unwrapped. About an hour later I got the chance to open the book which had sat on my desk. 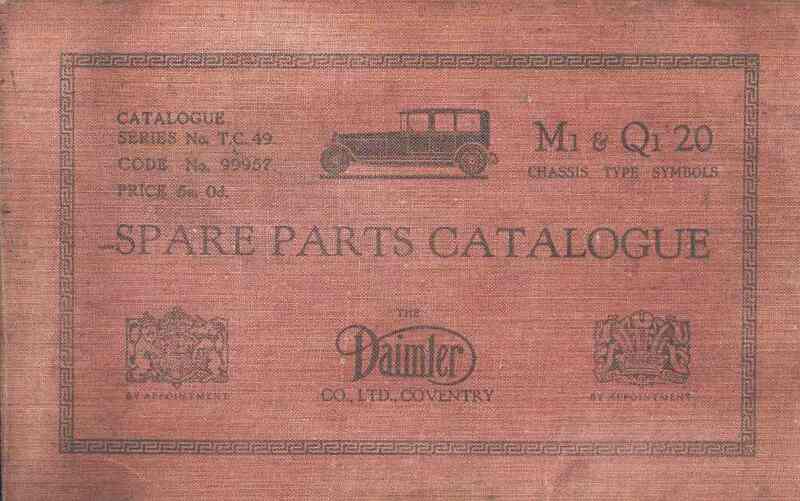 The front page of the manual had, written in the spaces provided, the name of the first owner of our car, and its chassis number. Of course I contacted the seller and told him the story. He replied saying that he used to work at the service station in Borrowash, and that this was one of the old items left lying on the shelves there. The story was clear. When the Rawsons took delivery, they went down to his local garage, saying "If anybody is ordering parts, it's going to be you" and handed over the volume. The book then sat on the shelf, being forgotten when RA3910 moved to Lancashire at the end of 1929. Eighty years later, the manual and the car are reunited.